Development and testing services are provided to worldwide customers within all possible business sectors from automotive, industrial to scientific application. 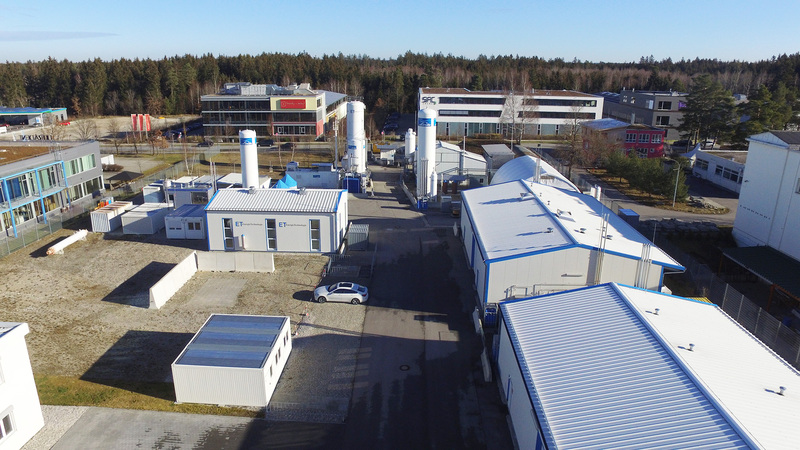 ET EnergieTechnologie provides specific facilities for cryogenic hydrogen testing from ambient pressure up to 40 MPa according to customer needs and requirements. The tests are aimed to support the development phases for cryogenic components, subsystems and systems for functional, safety and validation purposes. Three different laboratories with adapted infrastructure are available for cryogenic testing activities. Two laboratories of around 75 m² are prepared for tests inside a protected area. Nearby a roofed but open test space serves for all flexible kinds of testing. ET EnergieTechnologie offers special service for cryogenic applications in automotive industry based on more than 15 years of cooperation with leading car manufacturers. Engineering and testing activities support our customers development projects in all phases. ET EnergieTechnologie has long-standing experience in hydrogen applications for space and aircraft industry. This expertise extends to development and development testing of specific components as well as to elaboration of new test methods on the limit. As ET EnergieTechnologie has engineered and built up all own test facilities by itself, all knowledge to modify the facilities is in house. ET EnergieTechnologie is able to perform material characterization under liquid hydrogen atmosphere. Thereof a state of the art and high specialized tensile test equipment was developed.